Amazing curb appeal on this Spanish style home in this desired South of the boulevard neighborhood. Totally remodeled and ready for your fussiest of buyers. Custom finishes and touches throughout. This home has a very attractive and open floor plan and an easy flowing layout. Some of the features include; high ceilings, new wire brushed white oak flooring, new windows and doors, plus an in-ground pool in the backyard. The living room has high ceilings, fireplace and French doors to the patio. 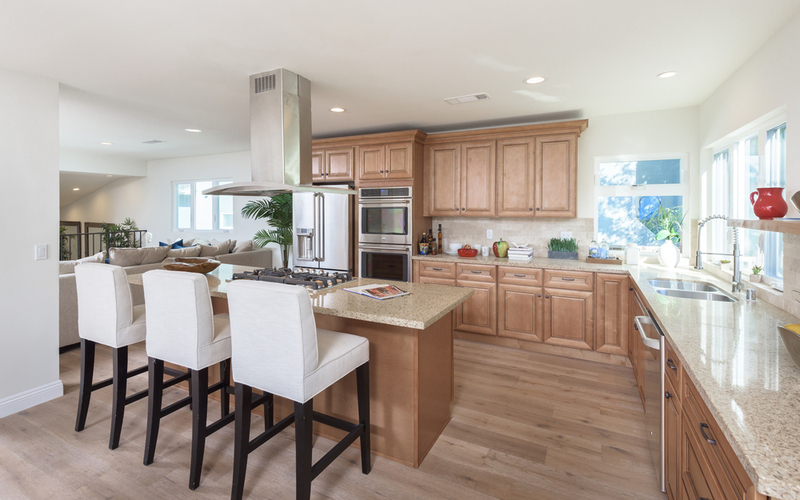 The cooks’ gourmet kitchen has granite counters, a large center island with cook top, stainless appliances. The kitchen is open to the dining and family rooms and is highlighted by a skylight and lots of windows. 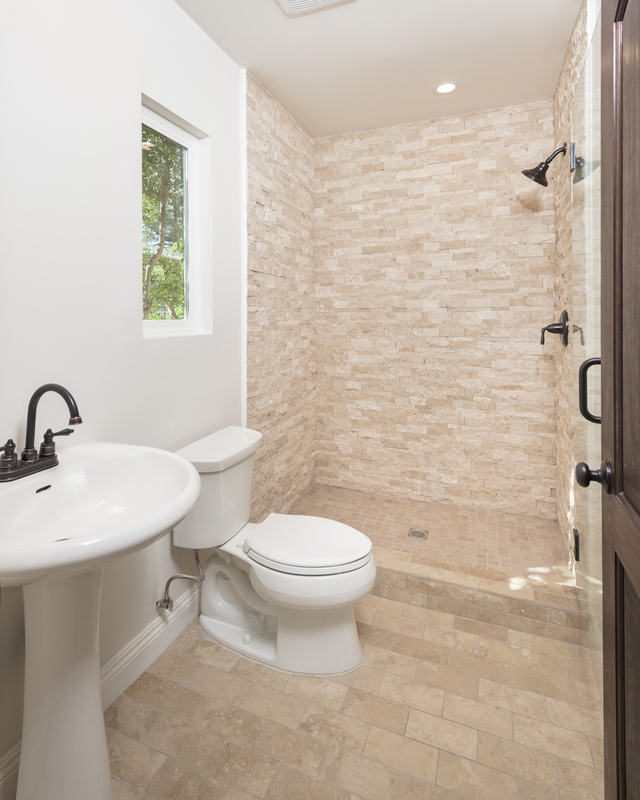 All gorgeous remodeled bathrooms with stone tiles and floors. 2 Master suites. The main master suite is spacious with picturesque windows overlooking the backyard and a private patio with mountain views. There is a huge walk-in closet plus a private bathroom with a stall shower and separate tub with neighborhood views. 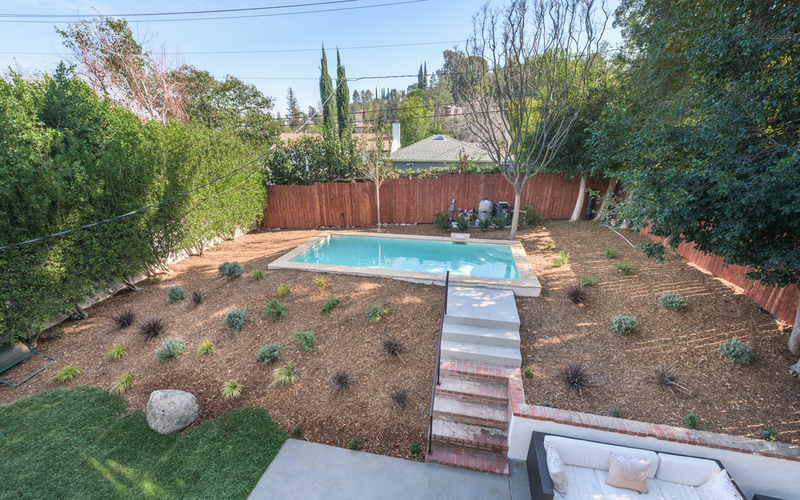 The backyard is tastefully done with drought tolerant landscaping, sitting areas and a grassy yard plus a sparkling pool with decking that is perched up on a knoll.